Barbour Glacier Sock for ladies. 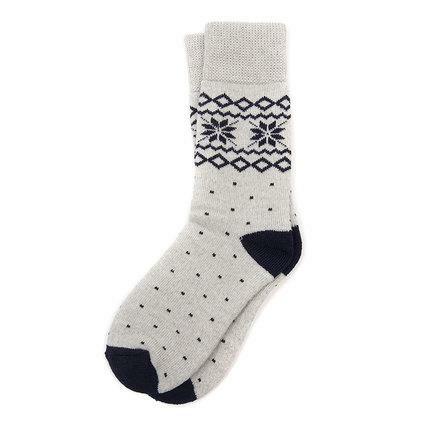 The Barbour Glacier Socks are a mid-calf style made from a soft wool blend with a traditional snowflake design. These socks are terry loop lined for extra bouncy comfort.